Personalized sessions can empower you through a time of transition, challenge and change, whether it is personal or professional. Created from a place of trust, grounding and clarity they are tailored to your individual need to help you step into freedom, creativity and expression of your true nature. These one to one sessions are designed to draw from the wisdom of practices such as yoga, meditation. reiki, massage and more. Each session is personalized and through being present with the needs arising we can tackle the challenges being presented. Gain better understanding of your true self, your experiences and your choices in an empowered way. A series of programs designed to help you dive deeper into core connection work. Using tools and activities to really embody the changes and understand the results of the explorations. Built and designed to bring more integration and lasting change to the mind, body and emotions. As well as empowered choices for living the most conscious, free life you ever dreamed of. Formats of the programs vary depending on the subject matter being addressed, the sure thing is that once you complete one of the courses you will have life long tools at hand to use, anytime anywhere. Taking yoga and meditation into corporate environments, I create specialized programs to suit your company's needs. Bringing ancient wisdom into modern day environments I help create an understanding of how these tools can benefit better working relations, clearer objectives as well as promote health and well being on a personal, professional and company level. Format's of the programs may vary depending on whether you are looking to improve work welfare, environment and relationships through continuous sessions, or wish to give your team a boost with a one off team building event or workshops. One off taster sessions are also available. In each sessions a combination of some of the below tools may be used to work with. Yoga Therapy is an advanced therapeutic tool that is used to work with mental, emotional and physical conditions. It is a ancient tool meeting modern day needs, bringing longer health and balance to the mind, body and emotions. Lasting results for long term health. Within yoga & meditation lie many hidden jewels of movement, mudra, pranayama and other techniques that can have deep reaching impact on our physical, mental, emotional and energetic bodies. Darshna uses wisdom gained from years of personal practice, teaching and study, as well as having used these tools in sessions with clients over the years. If you are looking for guidance, information and truth then these sessions offer a grounded, realistic view of where you are at. Incredibly powerful channeled readings that allow you to navigate your life. This beautiful gentle energetic healing technique can be hands on or hands off. Darshna is just a portal for the energy to be released and circulated, using intuition and the guidance of the body areas where there is physical pain, emotional charge or just stagnation of energy, can be worked with and released. The effect of Reiki is very soft and gentle and has lasting effects, especially when it is done over consecutive sessions. This ancient form of healing from Mexico has stood the test of time and it's ability to help in our modern day seems even more relevant. Working on the four levels the mind, body, spirit (life force) and soul (auric body) we look to find the imbalance and resolve the issue. Always working on these four levels Darshna will guide you to explore the areas that are causing you the discomfort, issue or illness, within this medicine we look for the root of the cause and as a side effect the symptoms get treated. We always treat the person therefore each person is treated uniquely for their symptoms and issues. Darshna's gift of being able to ask the right questions to bring you to the source of the issue has a rare ability to unearth some very deep rooted patterns and programs that can create unhappiness, health issues and discontent. In these unique sessions we work with a specific area of life that you feel needs to be addressed, using energetic cranial release Darshna guides you to where the imprints are held and working together, you dissolve and reclaim the space to feel more at peace with the situation/person, as well as more empowered to move forward with your life. 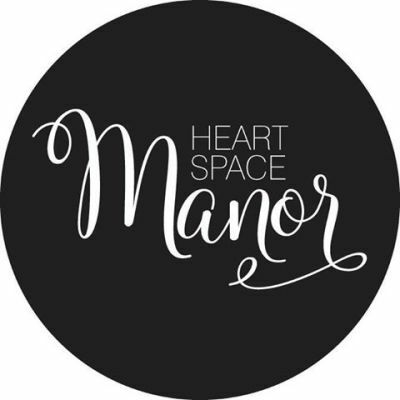 Friday Sessions starting at Heart Space Manor in Bondi Junction from 2nd February 2018.